The "Stay-In-Tune" string that made us famous! Nickel-plated cover wrap over a hard-tempered hex core. 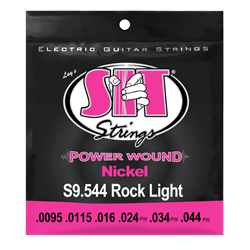 Our most popular and widely used electric guitar set. Great tone and longevity and suitable for almost all applications.